One-step One Pot, Less than 5 ingredients, and you’ve got some pretty authentic tasting Hainanese Chicken Rice from your pressure cooker. This recipe for Hainanese Chicken Rice is all kinds of wrong, but if it’s wrong, I don’t want to be right because it’s very tasty. I took all kinds of shortcuts to approximate a proper Hainanese Chicken Rice. I just want to say, I do too know how to make this dish properly I just don’t want to spend hours making it. I wanted it for dinner and if you want proper Hainanese chicken for dinner you better start early. 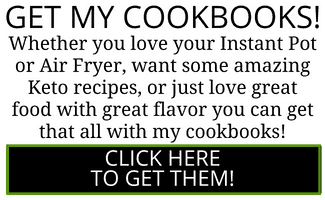 So traditionally, you’d boil the chicken separately, and you’d use mainly chicken breast. Once it was boiled, you’d put it in cold water to get a particularly smooth texture. You’d make the rice with rendered chicken fat, and you’d make a killer sauce to go with it on the side. Everything would be made from scratch. So, of course, I cooked the chicken and the rice in one pot and I used a mix that contains ginger and fat. No really, I use a mix for this. You guys know I never use pre-made mixes, but I do use this Asian Gourmet Hainanese Chicken Rice Mix because it is AWESOME and effortless. This is a super family-friendly dish that’s hard to get wrong if you make it my “lazy person” way. 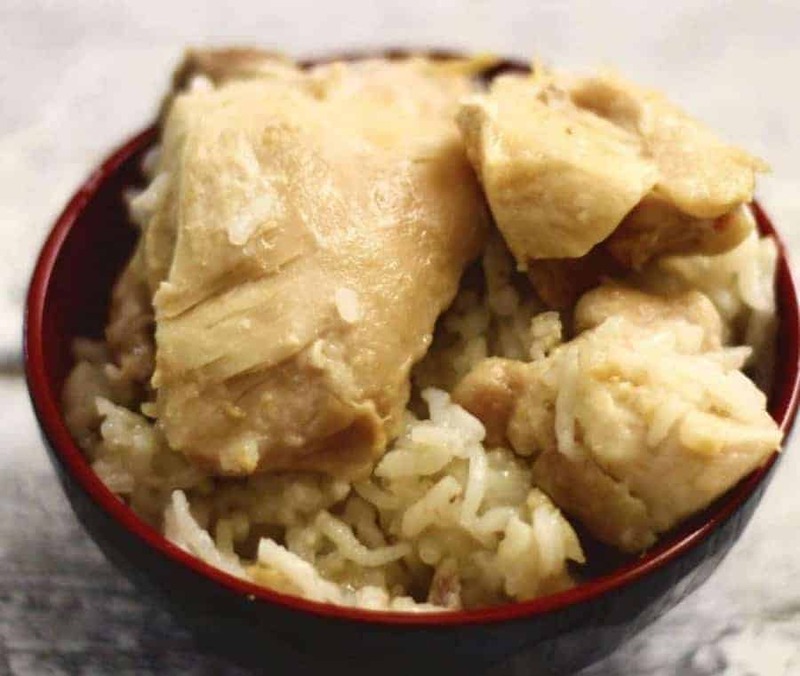 Hainanese chicken rice is a rice and chicken dish that is very popular in Singapore, Malaysia, and Thailand. It is called Khao Man Gai in Thailand. It is based on Wenchang Chicken, a popular Chinese dish that has been adopted in various regions of Asia. Chicken breast is poached and immediately soaked in cold water after it is done. This process creates a tender but dense chicken breast that has just the right amount of giving, without being mushy. The rice is fragranced with ginger, and the dish is usually served with cucumbers and a fiery hot sauce. Typically this sauce has minced red chilis, ginger, soy sauce, and garlic. The bright red of the sauce is a great complement to the white chicken. 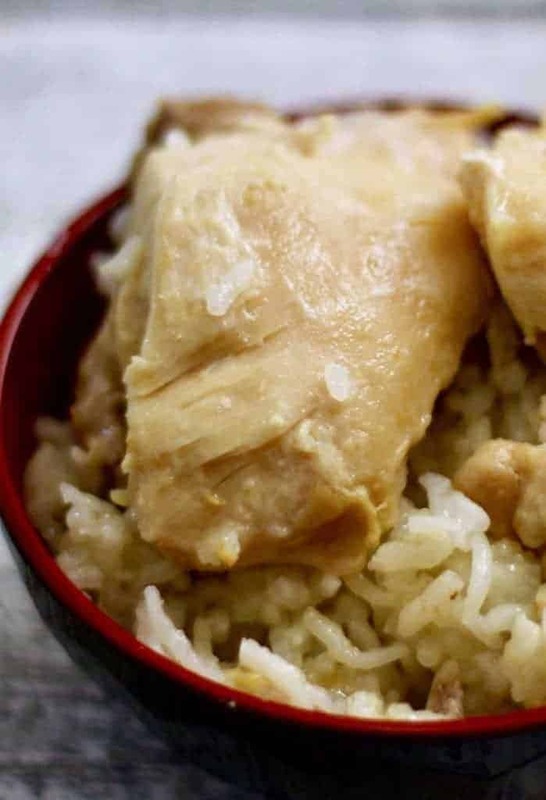 The rice is also cooked in rendered chicken fat, and each bite of the rice comes with the aroma of ginger and a taste of chicken that’s hard to beat. I ate so much of this in Singapore, that I started to crave it when I got home. 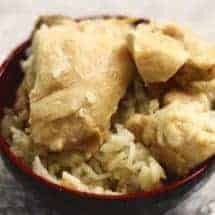 I now use a shortcut by cooking the rice and the chicken at the same time, but you could certainly poach the chicken breast on low heat and cook the rice separately. 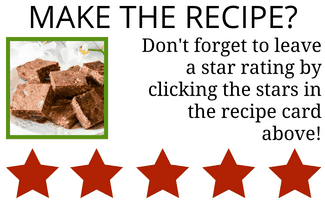 Unlike my other recipes, this one relies on a pre-made spice pack, but it is totally worth it for the ease and the taste it produces. I don't even know why I'm bothering to write a proper recipe for this because basically you put everything in your Instant pot or pressure cooker. Set your cooker on high pressure for 6 minutes, and allow pressure to release naturally for 10 minutes, and then release all remaining pressure. Nutritional info doesn't include the Asian Gourmet Package mix. I’m new to a pressure cooker…do I cut the chicken first, how big? And do I have to layer the ingredients in the pot? I only have jasmine rice, I’m going to assume that’s close enough. This sounds delicious and I can’t wait to try it! I just ordered the mix packets from Amazon. If I double the recipe using an 8 quart IP, do I need to adjust the cooking time? Thanks very much! No time under pressure should be the same. Enjoy! Can’t wait to try, love the simplicity! Any concerns/modifications with using frozen chicken? 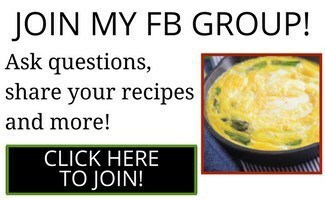 Does cooking time need to increase if the serving size increases? How would I need to adjust the water and/or cooking time if I used brown basmati rice? Do you cut up the chicken into smaller pieces before adding? Does the chicken cook fully in 6 minutes? Or does it cook fully due to the residuql heat from the 10 minutes of releasing the pressure naturally? You definitely need the 10 mins npr time. The chicken needs it to fully cook without getting dry. Thanks for the reply! One last question: in the 10 minutes of npr, the rice doesn’t get too mushy does it? Turn out great, except that the rice was burnt down the bottom. Have you heard this happening with anyone else? I have not. Did the pot come to pressure? Almost sounds like a problem with it sealing or the vent being left open? Either of those a possibility for you? Did you make it in an 8 quart? Could vegetables such as bell pepper or onion be added inside the pot to cook with the chicken and rice? Thank you! Could I use Jasmine rice and bone-in/skin on thighs and drumsticks? Do you know how the cooking time might be affected? I suspect that could be problematic because by the time the chicken cooks the rice will be mushy. But I don’t know that for a fact. Bone in takes about 8-10 minutes at least.